Manuel Ponce was one of Mexico’s best and most popular composers. In his formative years he travelled to Europe, sniffing the air of Paris in the 1920s (with the experimental Groupe des six) and Germany, before settling in his home country again. His compositions are imbued with the native music and folklore of his beloved Mexico, irresistibly lively, sensual and passionate. 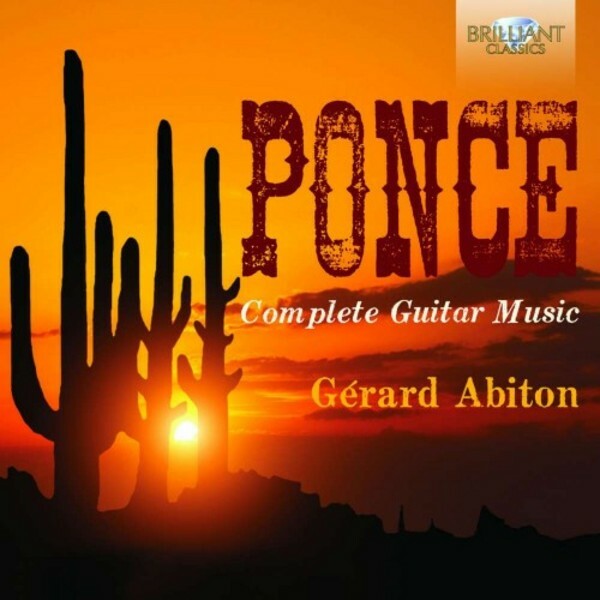 These are excellent performances by Gérard Abiton, one of France’s most famous guitarists: “one of the best guitarists in the world” (Liberation), “exceptionally talented” (Guitare classique). Also included are the Sonata for Guitar and Harpsichord, and the Concierto del Sur.